One pair of 14 karat yellow gold drop earrings. 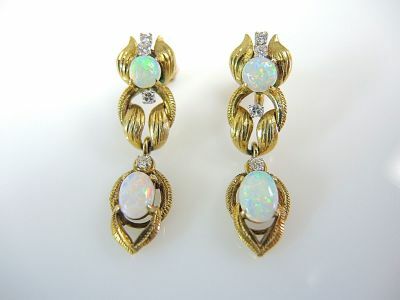 Two opals (0.76 carats). Two cabochon opals (0.16 carats). Eight round brilliant cut diamonds (0.20 carats: VS clarity: I-J colour).